It's that time of the month again and July unfortunately turned out to be a bit of a busy month. We already knew about some of the removals. After a disastrous launch, The Culling 2 was removed on July 22nd. This was closely followed by the surprise removal of Marvel: Ultimate Alliance and Marvel: Ultimate Alliance 2 on both Xbox One and Xbox 360 just five days later. These games were accompanied by three Xbox One titles and two XBLA titles that nearly slipped by unnoticed. As a warning for the future, Forza Horizon 2 is currently available on Games With Gold. The addition of any Forza title to this promotion usually signals the imminent removal of the game's DLC from the marketplace. 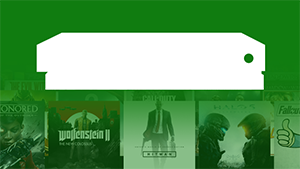 Indeed, the "Complete Add-Ons Collection" for the game has already been removed from the Microsoft Store. Both the "Porsche Expansion" and "Storm Island" DLCs are still available to purchase separately, as are a lot of the car expansions, but we recommend picking these up as soon as possible if you wish to play the content. We'll be back in September with the next round of delists, if there are any. However, if we get advance warning of any future delists, we'll be sure to let you know before they happen.